My friend and one of the finest blogger/writers you can read, Gordon Roberts of Musings of a Sci-Fi Fanatic, starts us off this afternoon with the reader top ten. Below, Gordon, presents his choices for the greatest toys of his childhood. “I'm going with the authentic kind and not the kind of toys made out of a painted, wooden vegetable box. Those were fun too. I didn't think too hard about this and wanted to give you ten legitimate favorites that were played with extensively as a kid. I absolutely loved playing with these picks. Anyway, off the top of my head entirely." 10. 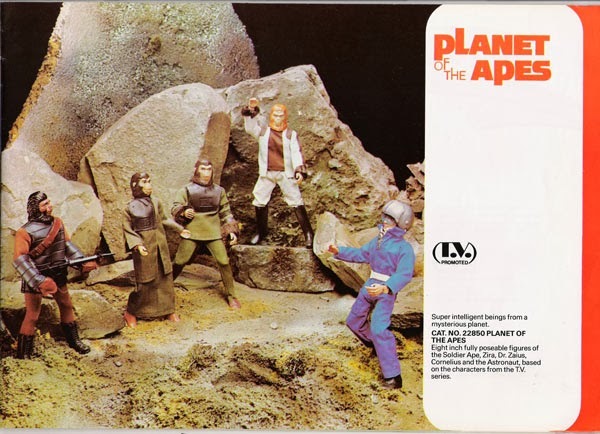 Planet Of The Apes dolls. I played with them in my backyard on the oak trees. 9. Star Trek Dolls (er herm - action figures). Same thing here. 8. 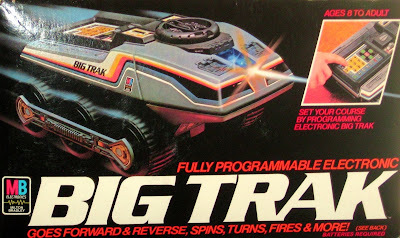 Big Trak - right there with you! Much fun was had on my kitchen floor and taunting my dog, a smooth fox terrier. 7. 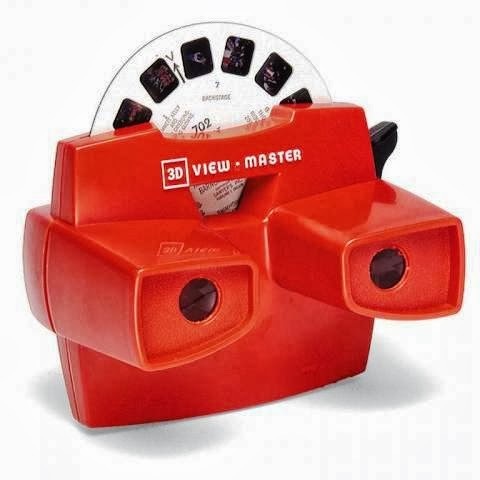 The View Master and the one where it played mini films when you winded the arm. 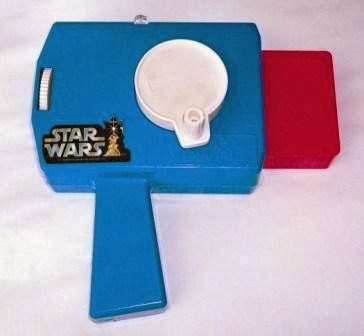 I had the Six Million Dollar Man and Star Wars cartridges and watched them all the time. Of course, we didn't have home video so that was it! It was like having movies in your bedroom. 6. Micronauts figures. All of them. Space Glider, Baron Karza, Andromeda, Time Traveller, Acroyear, etc.. 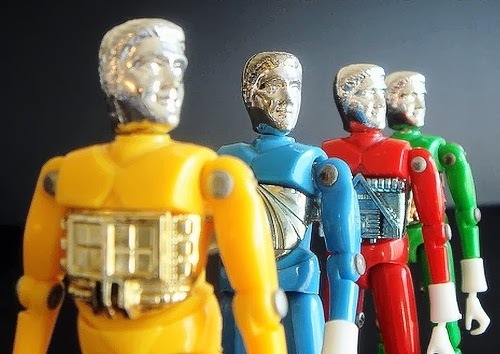 I really loved Micronauts and eventually had all of the comic books. I wish I still had them. 5. 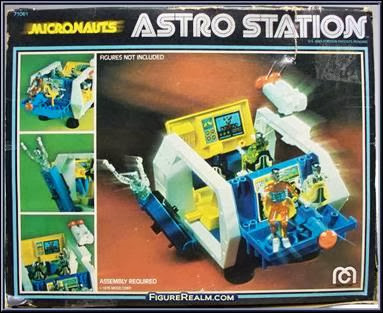 The Micronauts Astro Station. Loved playing with this one in the pool or bath tub! 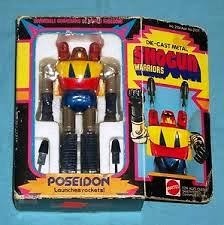 All of my figures were often fighting for their lives against the crashing waves that flooded the Astrolab. 4. Diecast Poseidon and Getter Liger (though Liger was called Raider). More Japanese robots thing I managed to find as a kid, but seriously where the heck was I finding these things? I have to import them now and I know I wasn't doing that as a child. 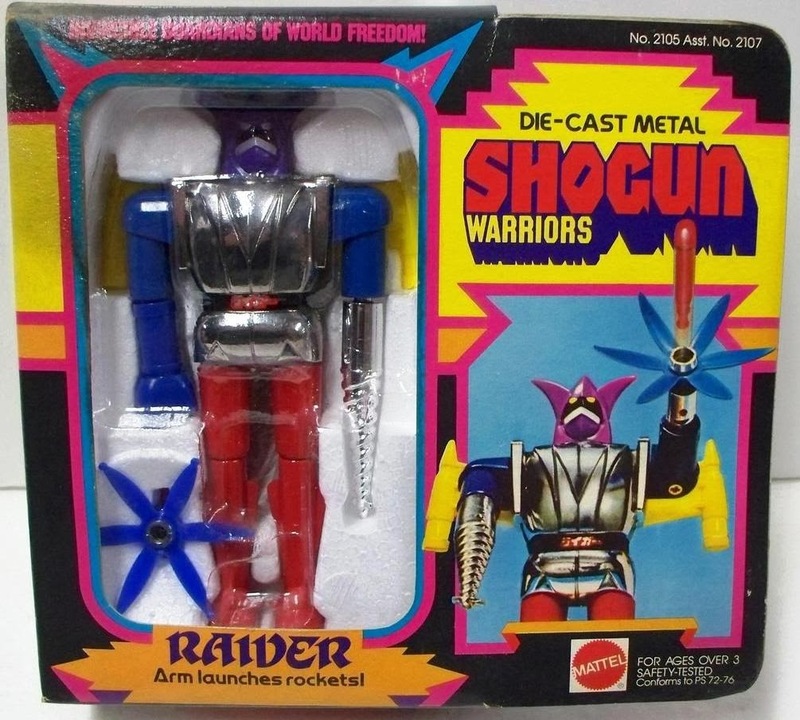 They were part of the Shogun Warriors run to be sure. 3. 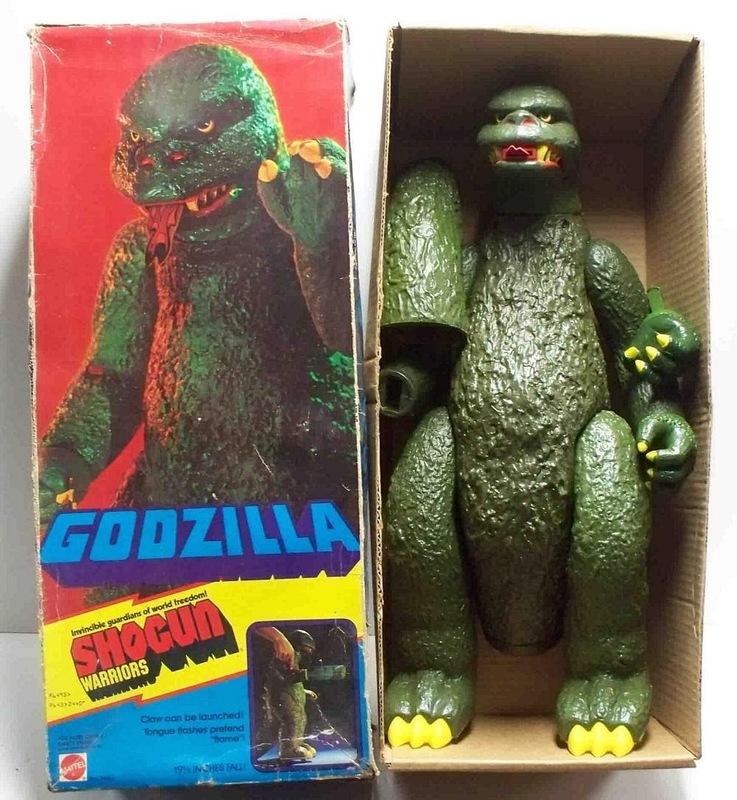 Godzilla Shogun. But really why was his hand launching off his arm? Detachable body parts for Godzilla yet it all somehow worked rather nicely. 2. The Shogun Warriors - all of them! They were so big and massively fun with loads of weaponry. 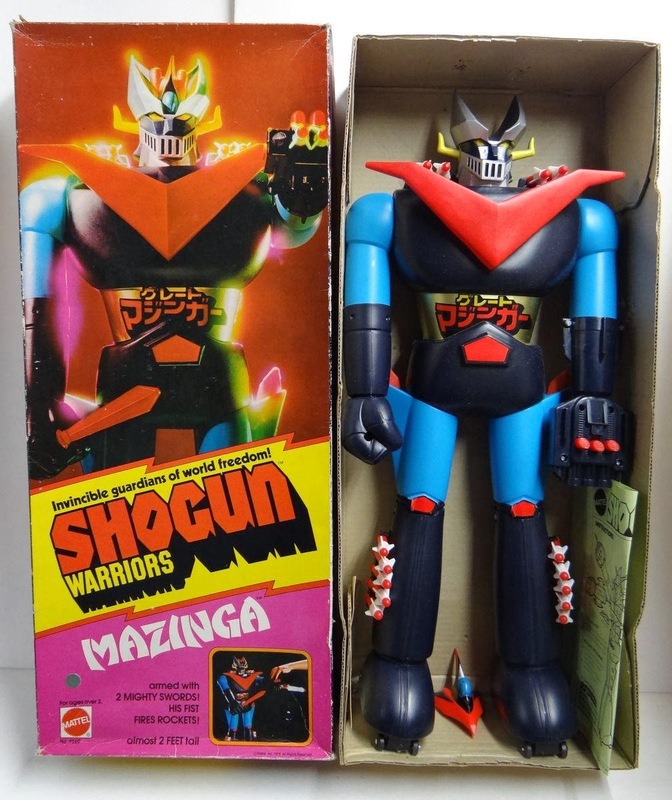 Mazinger Z, Dragun (Getter Robo), Reideen and Gaiking! 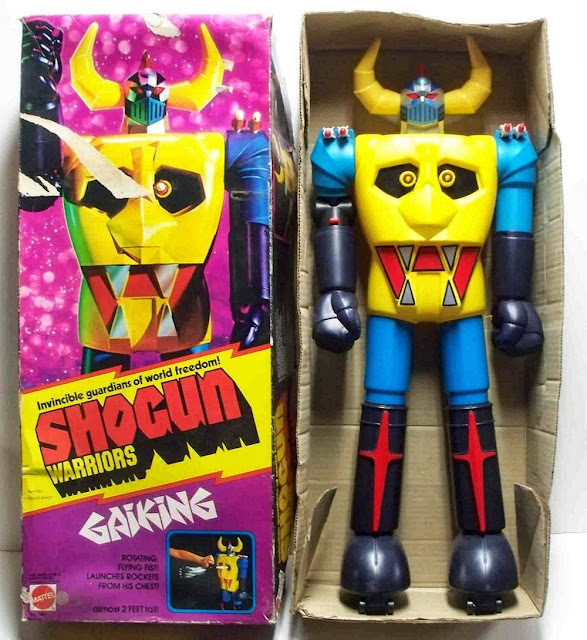 I loved Gaiking. 1. Thunderbird 2 diecast blue DINKY. I really dinged this thing up and enjoyed dropping the pod into the bathtub to play with the plastic Thunderbird 4. 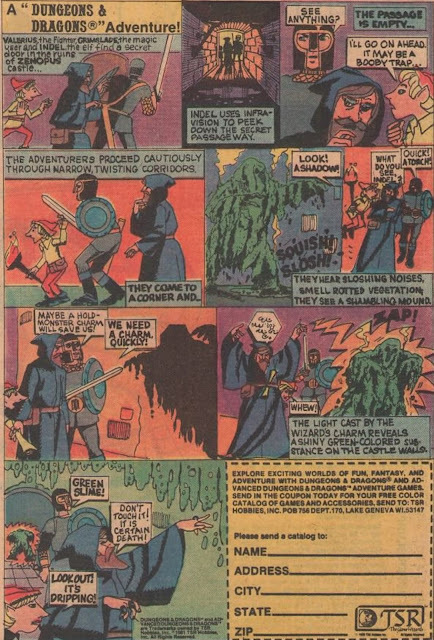 Also, you mention the Micronauts figures and Astro Station. I have very vivid memories of playing those as well. I was always partial to Acroyear…he looked amazing. These days, my son, Joel, loves Force Commander and Baron Karza. We still own many of the Micronaut “city” sets, and in the summers set up the Megapolis and Intergalactic Command Center in our drive way, and then populate it with Membros, Time Traveller, etc. Inevitably, someone (usually Baron Karza) launches as strike on the city, and it all comes tumbling down. I'm so envious. That is great you still have much of these items to share with Joel. Thanks for the wonderful memories and seeing these other childhood posts. Awesome.